Texas Hill Country, San Antonio, and Ethiopia. Jane Bishop designs and prints original textile designs. Some are hand painted. They become pillows, chair covers, and other artistic surprises. Rarely can original textile printing be found and rarely can such colorful and intensely beautiful designs be found. We also love the whimsy that she includes in some of her work. She often adds ribbons, woven or embroidered fabrics from around the world to finish her creation. Claudia Feuge brings great attention to detail and beauty in her paintings which she has garnered during decades of life as a professional artist and former gallery owner. Her current collection of watercolor paintings represents the natural beauty of flowering plants and butterflies. Her pastels of lilies and passionflower fruits hold a classic and lasting style up close and personal. "My personal journey is propelled by study in many areas: dreams, Jungian psychology, world mythology and fairy tales, botany, entomology, and consumer culture." "My images visualize an interior, irrational space where objects are strewn about. These images are transparent fictions that are symbolic of some memory, some experience deep within the subconscious that marks the journey." "As an Artist and a Life Coach, born and raised in Texas, I have finally arrived at a special spot on one of the highest hills in Kendall County near Sisterdale. I have a view that inspires me daily as the sun rises on the horizon twenty five miles away. My home and my studio are filled with the beauty of this property. Jewelry, encaustic painting, and photography are the means I use for my expression and the tools I use as a Life and Journal Coach. We are all here to create and expand our lives. Art is the most fun way to do that!" Judy recently moved to Temple, Texas after spending eleven years in North Carolina and two in Oklahoma. She has a small studio where she designs sculptural fabric baskets that are both decorative and functional. While she does use new fabrics, her favorite textiles are beautiful fabrics that she has re-purposed from much loved clothing items. We featured Amy Gordon as a jewelry artist at Intermezzo Gallery beginning in 2013. 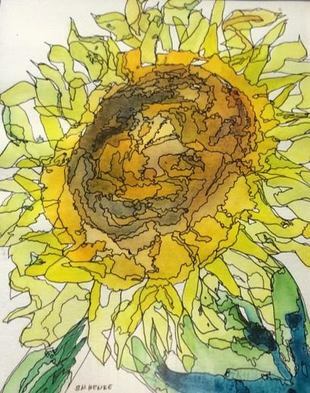 Beginning in 2015, we are pleased to present her watercolor and acrylic paintings in the gallery along with her jewelry. "Stop the Truck" are the three words she often says while driving on the family ranch with her father-in-law. She takes photos from every imaginable angle that might be useful in a future painting of wildlowers, animals and hill country scenes, and then they all resume their ranching tasks at hand. While she paints from photographs, she is not aiming for photorealism. After studying the photo she chooses the key elements she wants to work with in her painting and goes to work recreating the beauty. 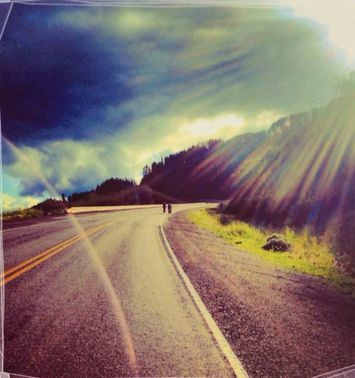 In the summer of 2013, Mackenzie Neel rode her bicycle in the T4K ride - 4,000 miles from Austin, TX to Anchorage, Alaska to raise funds for services provided to families facing cancer, contribute to research funds, and raise awareness across the US for the importance of testing. Along the way she took photographs of beautiful settings of nature and life. Her creative use of combining a focus on objects large and up close presented against a backdrop of nature is particularly enjoyed. Dr. G. William Nichols (Bill), began painting portraits at the early age of ten. Because of this unusual childhood gift, at twelve he was invited to study under master portrait artist, Hugh Walters, a leading Dutch classical portrait artist. With a Bachelors of Arts degree from the Florida State University School of Art and a PhD in Philosophy, Nichols studied art in China, Japan, India, Israel, and throughout Europe. 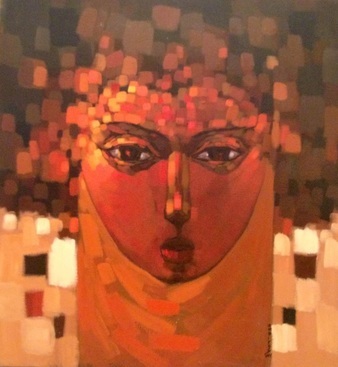 Aklilu Temesgen graduated from Addis Ababa University School of Fine Art and Design, Addis Ababa, Ethiopia, in 2004, specializing in painting. 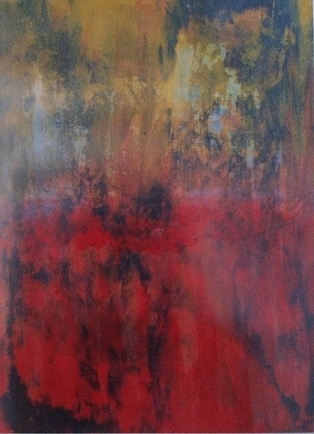 He enjoys playing with different themes and using vivid colors in order to speak about what he observes. 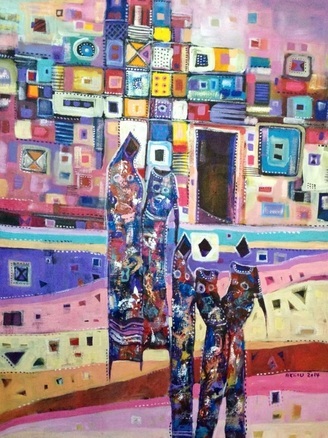 He has shown his art in solo and group exhibitions in Ethiopia, Djibouti, Sudan, Zambia, Paris, and USA. In addition to his art, Aklilu is actively involved in teaching children and giving back through community service activities.